Dean Seif, owner of AllStar Collision, Inc. in Corona, was among business executives honored by the California Chamber of Commerce as a 2017 Small Business Advocate of the Year for outstanding advocacy on behalf of small businesses. 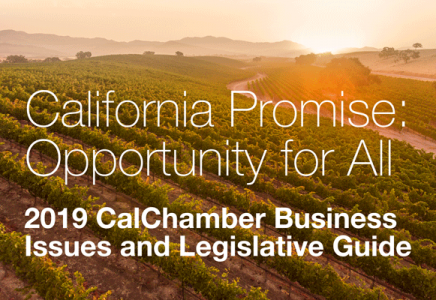 The CalChamber announced the awards in Sacramento before more than 200 attendees at the CalChamber Capitol Summit on May 31. For more than a decade, Dean Seif has helped his community of Corona continue to be one of Southern California’s leading job creators by working through the Corona Chamber of Commerce to engage the local, state, and federal governments on issues that are critical to growing career building jobs. An entrepreneur with a record of success in three industries: aerospace and as an international commercial pilot, real estate, and auto body repair, Dean came to Corona from his native Iran through his wife, Shannon. As he and Shannon were growing their real estate business and family, they became concerned at a growing gap in public policymakers and employers. This concern prompted Dean to become chairman of the Corona Chamber in 2015, and lead more than 10 lobbying delegations to Sacramento and Washington, D.C. to work on a bipartisan basis on many issues. Locally, Dean has testified more than 40 times before the Corona City Council, the Planning Commission and various policy committees of the City of Corona, and the County of Riverside on issues including local development, job attraction, defeat of unnecessary regulations, and development of infrastructure projects. In Washington, D.C., under Dean Seif’s leadership, the Corona Chamber forged a close working relationship with the State of California Office of Military Affairs that has helped expand national support for one of the Corona region’s most important employers, the Naval Surface Warfare Center (NAV-SEA), Corona Division (Norco), which provides nearly 1,000 jobs. Seif also has traveled to the State of Indiana with a joint Navy/Corona community delegation to tour NAV-SEA facilities there. Seif has taken his responsibilities very seriously and his focus and dedication are admired by many.